This is the owners’ story. 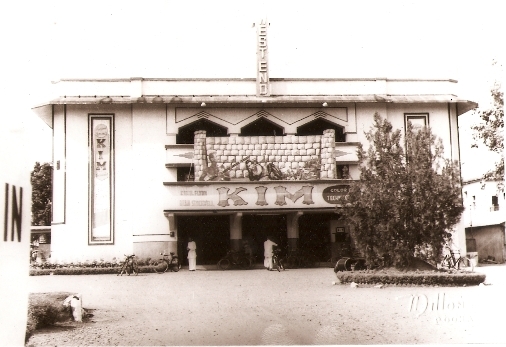 West End Theatre in Pune was established by late Keki Modi, who was the youngest of the 10 siblings. The most famous and the eldest among them was the legendary Sohrab Modi. While Sohrab went in to the creative field, Keki began developing a passion for the exhibition of films. His early days were spent in delivering film prints in mofussil and semi-urban areas of Maharashtra on his bicycle in the silent era of cinema in the 1920s. His will to learn and initiative in the technical area saw him graduate to a projectionist in no time. He worked in a theatre in Khadki off Pune on 2 Rs. a day salary. Being enterprising by nature he soon began associating himself with cinema theatres by acquiring, leasing, franchising etc. By the 1940s he- i.e. his company Western India Theatres Ltd – had a stake in over 100 cinemas all over India, more so in Mumbai, Pune, other parts of Maharashtra and Kolkata. To mention a few Globe[ Shreenath], Minerva, West End, Empire, Shri Krishna in Pune, New Empire, Strand, Excelsior, Minerva Central (now Central Plaza)in Mumbai, Minerva and Elite in Kolkata were some of the famous ones owned by him. Keki Modi struck good rapport with American companies like Disney, United Artists, Allied Artists, MGM and Warner Brothers and Paramount. He had a good equation and was friends with the studio heads Jack Warner of Warner Bros, Roy Disney (the younger brother of Walt Disney) of The Walt Disney Co, Spiro Skouras of 20th Century Fox and also the head of MGM and Paramount Films. He carried on with the business of exhibition, while his brother Sohrab directed and produced landmark films such Pukar (1939), Sikandar (1941) and Sheesh Mahal (1950). After the great success of these films, Sohrab Modi made Jhansi ki Rani in 1953 with wife Mehtab in the lead role. It was an ambitious production and Keki helped his brother by raising the necessary finance at very high interest rates Unfortunately, the film was a box-office disaster. That impacted Keki’s business severely. He had to divest many of his theatres to pay off the debts. But, he never gave up his passion for exhibition and carried on till his death in 1972. 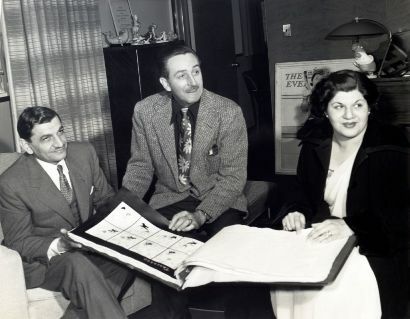 Keki Modi with Walt Disney and Ellen Modi. Today, son Roosi Modi carries on his business despite the increasing headaches of running a single cinema hall in the era of multiplexes. He seems to have inherited the same involvement and commitment along with the responsibilities from his father. He remains proud of his family’s contribution to Indian film industry in terms of production as well as distribution and exhibition. In the 1980s, he had to adjust to the pressures of the business by agreeing to pull down to the old theatre and build a new one in its place and accept being a major part of the premises. It was a bad time for the film industry on the whole. 1980s saw the first big influx of colour TV, big time video piracy, the culture of watching films on VCRs. Cinema halls started closing down. Films even several big banner films failed at the box-office. The employees were being very demanding. But, somehow the theatre owners as well as the film industry survived the crisis. Next came the entry of the Corporates in to the media industry. Multiplex cinemas were an offshoot of that. Government gave them some huge incentives like 100% entertainment tax holiday for the first three years, then the next 2 years at 75% then after those 5 years were over they would pay 100% entertainment tax etc. Roosi feels that it was unfair to the single screen cinema owners as it destroyed level playing ground. The crisis was and has been faced by all, so why not give similar incentives to all …is his question. The woes of running a film theatre mount everyday. There are some 15 to 18 licenses and certificates that are mandatory to run a theatre today and they have to be obtained from various authorities like the local Police Chowki, Telephone dept that the phones are functioning, Fire dept, environment certificate, Entertainment tax license, Property tax, Hygiene, Health, PWD, false ceiling, neon sign tax, advertisement tax and so on so forth… the list of items is ever increasing. All these certificates clearances have to be then given to the Police Commissioners Office and they then issue the final cinema license for exhibition. Some of the rules are stringent like a single screen theatre must have the central staircase of minimum 10 feet width. Interestingly, this rule does not apply to the multiplex theatres. Haven’t you ever felt like quitting? I asked Roosi. He says the thought has occurred to him, but fleetingly. His heart is still in the business, he remains proud of the fact that he offers an important service to public and also of the fact that he is the second generation of his family to have been in cinema business. It’s in his blood. He feels that in film history the contribution made by the exhibitors has seldom received the recognition that it deserves. History actually bears him out. Till 1914-15 films were shown in tents and nickelodeons in USA. Middle classes and upper classes did not really patronize movies then. In 1914, Mitchell Mark opened a cinema theatre on Broadway in New York called ‘Strand’. That was the first modern theatre with a lobby and chandeliers. That brought the ‘snobs’/ ‘class audiences’ in. Today West End is fully active since 30th November 1990 with 1038 seats, AC, Digital Dolby, and runs celluloid Film and Digital projection facilities. And that is heartening indeed! One of the great landmarks of Pune is still intact although in a new form. Read the first part on West End of Cinema here. 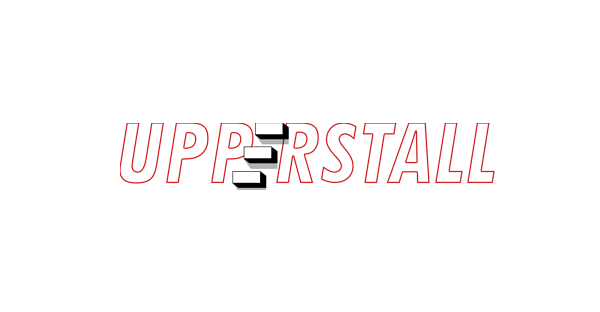 The two-part blog brilliantly captures the romance of single-screen cinema halls and film loving people who were responsible for running of these shows. In an age of dominance of multiplexes, which to me feel like an extension of watching DVDs on a large-screen in a ‘public’ living room (given that watching a film is just one of the various activities the audience/s indulge in), one often pines for the single-screen halls where one watched films in silence broken by appreciative whistles and coin-throwing homages – actions which added to the romance of watching movies. Its unfortunate that economies of scale coupled with red-tapism that discriminates against single-screen halls is driving many such theatres to close down. In some small towns that I know of, the only cinema hall (obviously a single screen one) have closed down replaced by DVD halls that screen cheap and poor quality copies where all the technical wizardry that cinema has acquired go for a toss! Nice piece, Anil and well put Monish. Quite a history behind West End…Exhibitors like Keki Modi were truly pioneers! I found both parts of The West End blogs most interesting. The first, for the old photographs & the nostalgic memories of perhaps better times gone by.. The second, for the larger-than-life personalities of the Modis – Keki & Roosi. As kids, we met the dapper Keki & his handsome wife Ellen at the Blaze Preview Theatre (in Colaba, Mumbai) where we ere special invitees of the stately Mss. Freny Variava. Roosi I got to know a tad later, when we rather foolishly raced our two-wheelers on the old, winding Bombay-Poona Highway. In your interview with him, I can almost hear Roosi speak; so true to spirit is your reporting. Father & son shared the same common bond, that of being passionately loyal to their chosen art form. I for one, would rather choose to go to the single screen cinema theatres, where every visit is an event….an evening to remember. Very interesting to know the family story and how Keki Mody made it so big just by himself…The photographs of old wes-end really bring back memories.Enjoyed reading the blog……. Had been to Navsari recently. Met the co-owner of a single theater that was called Jahangir Theater. The theater is one of the oldest one in town. Recently it has been renovated to give the patrons a ‘multiplex’ kind of feeling – the push back seats brought directly from Orissa! The passion for exhibiting the films, was the same. According to the co-oner this single theater is alive and kicking! Delightful piece of reporting. The old pictures of the West End brought back memories I thought were lost. Used to be a regular there for the movies. Remember sitting in those old cane chairs.